Monitor every step of your journey towards being fit and healthy with this Lenovo HW01 smartband. It acts as a pedometer, a heart rate monitor, and a sleep monitor, which covers the core areas of a person’s overall well-being. The Lenovo HW01’s interface makes operation simpler and more interactive than before. It features third-party sign-on systems like WhatsApp, Facebook, and Twitter. 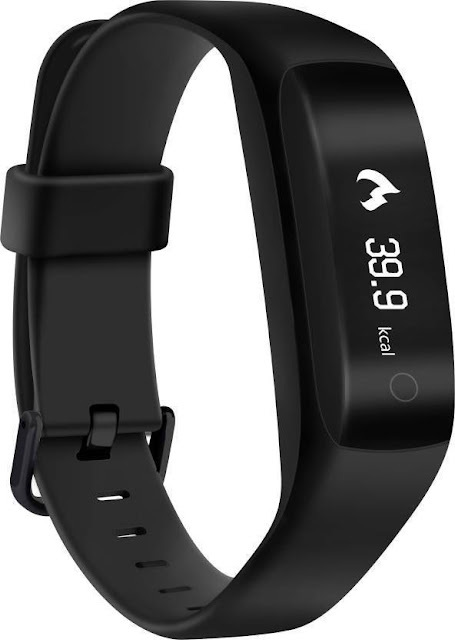 This smartband’s low-power Bluetooth chip and its 3D acceleration sensor give your precise readings and ensure that this band is energy efficient. The Lenovo HW01’s skin-friendly strap uses imported high-quality material and is highly resistant to abrasions. Download the Lenovo Smart Bracelet app, ensure GPS and Bluetooth are on, then launch the app.After logging in, connect to the device to set the date, time and other settings. Lenovo HW01 SmartBrand available on Flipkart.